Trademark Trivia - Cereal Boxes and...Drug Bags? We love having guest posts and contributing editors enhance our site and today is no different. The abstract below is a preview of a great article written by a coworker of mine, who also has an eye for intellectual property law. Please enjoy this abstract and check out the full text via the link below. Where can you see tigers, bumble bees, rabbits, leprechauns, and professional athletes all at once? The cereal aisle, of course. These various animals, mythical characters, and celebrities grace the boxes of the cereal we all eat for breakfast. For example, if you want your Frosted Flakes for breakfast, you look for a blue box with Tony the Tiger on it and pull it off the shelf. Now, let’s make your decision a little more difficult. You still want Frosted Flakes, but this time you walk into the cereal aisle and all the boxes look exactly the same: same size, same color, same weight, same everything (except the cereal in the box is still different). How do you find the Frosted Flakes? Sure, you could go around opening every box to check, and upon your glorious moment of finding your favorite cereal exclaim “They’re GR-R-REAT!” Or, if you like to live on the edge, you could play “cereal roulette” by picking a random box off the shelf, and opening it up the next morning to reveal your surprise breakfast. Either way, I’m sure we’d all like to see Tony on the box, making the decision easier. Putting a trademark on a cereal box is fairly innocuous. But what happens when a trademark is on a bag with cocaine in it, and that bag is being sold by a criminal enterprise? The simple answer is that the same thing happens: drug users will seek out a drug with their preferred trademark because they prefer it over other “brands.” The criminal enterprise selling that brand will then get a steady stream of customers and income, based on that trademark. Almost everything a drug dealer does to further his “business,” is illegal, while legitimate businesses are free to engage in the same activities. For example, it is illegal for a drug dealer to even possess narcotics, while Kellogg’s is obviously free to possess its cereal. The same goes for manufacturing, transporting, and selling activities. 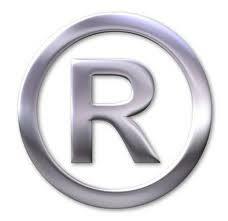 However, the same is not true for marketing activities, like placing a trademark on the product’s packaging. Drug dealers (and bootleggers during Prohibition) have been using this marketing technique for years. In my comment, I discuss two examples of this activity, and suggest a couple of solutions to the problem. Let’s hear your thoughts, B.A.F.F.L.E.D. readers. Answer to trivia question: UPS began painting its trucks Pullman Brown in 1917, after the Pullman Railroad cars. Pullman painted its railroad cars brown to hide the dirt they would pick up in transit. UPS founder James Casey took the advice of his business partner, Charlie Soderstrom, to paint their trucks the same brown color for the same reason. Since 1998, that same distinguishing brown color has been a trademark registered to UPS (U.S. Trademark No. 2131693). For the full text of Tom's amazing article, click here!